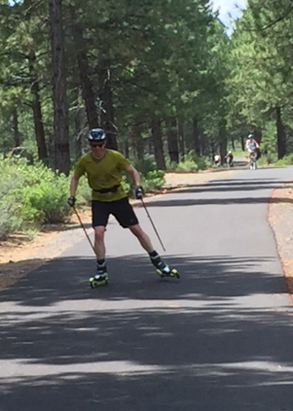 The Black Butte Trail alignment maintains a separation of at least 371 feet from personal private homes and property. The closest proximity occurs as the trail passes the Tollgate residential development. 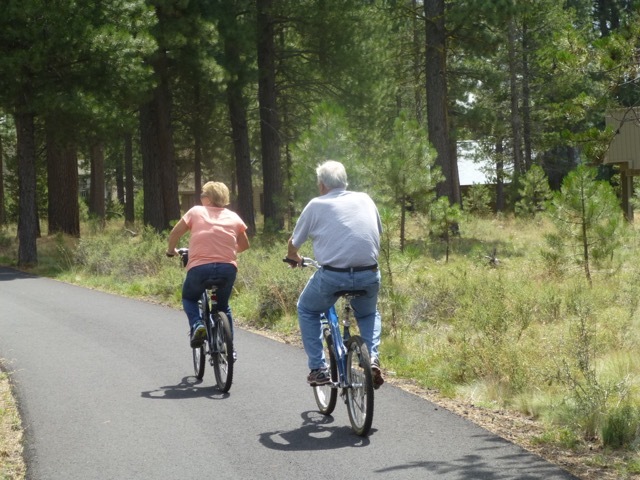 Since the users of the paved trail engage in “quiet sports”, it would be difficult for homeowners to be aware of any trail users as they pass by. Trees and other vegetation in the forest would also block the view. However, in between the paved trail alignment and these homes is a well developed rogue dirt trail illegally used by ATV's and other motorized vehicles. Separation from several of the homes and this trail ranges between 205 and 270 feet, and it is understandable home owners would be upset with the inherent noise, dust and air pollution from these illegally used vehicles on this rogue trail. See U.S. Forest Service map showing Seasonal and Special Vehicle Designation Map. This map shows which areas and trails are open to ATV's and during what parts of the year they are open. See also an enlarged area of this map around Tollgate as shown on Goggle Earth imagery. 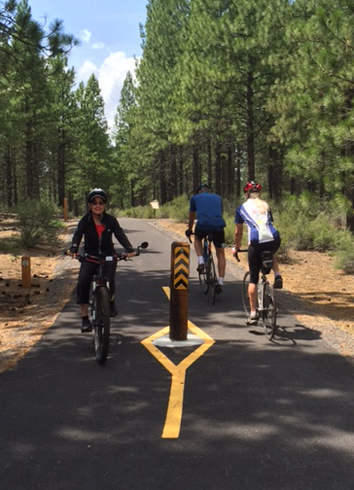 Ironically the Black Butte Trail alignment was first proposed to overlay part of the rogue trail. Yet due to paved trail proximity concerns expressed by Tollgate residents, the paved trail alignment was moved to at least a full 371 feet away. Some trail objectors appear to lump paved trail users in with those who illegally use ATV’s and other motorized vehicles on rogue trails. Most quiet sport trail users will find such an association very unfair. A few months back an incident was reported in Tollgate, where rocks were thrown at the windows of a home. The perpetrators raced away in a motorized vehicle into the forest. Once the new paved trail is built trail users will not take kindly to such nearby illegal motorized trail use in the forest . 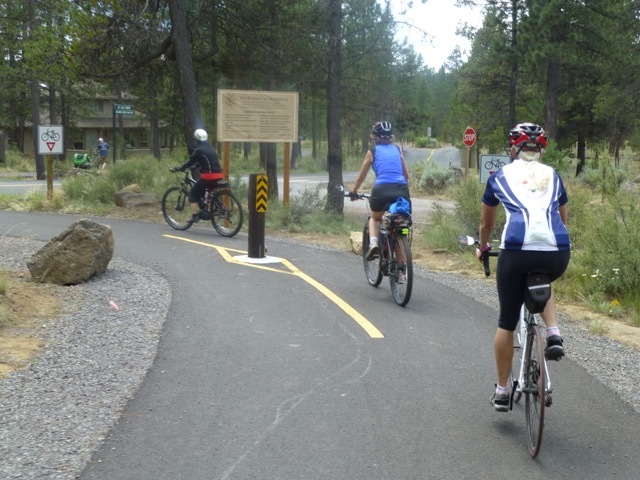 The paved trail will be protected by bollards at road intersections to help keep out unwanted motor vehicles. Homeowners, paved trail users and the ATV community need to work together to reduce illegal motor vehicle use in our forests. 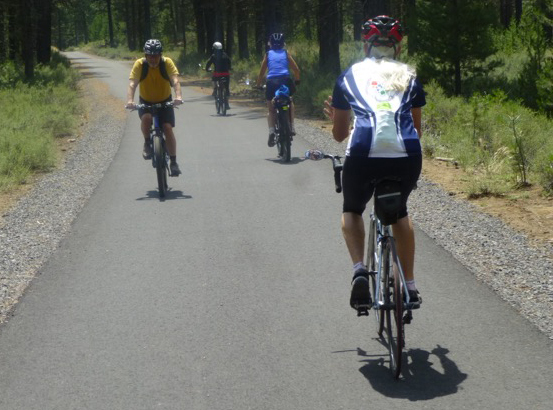 The Lava Lands paved trail to Sunriver was completed in August of 2014. 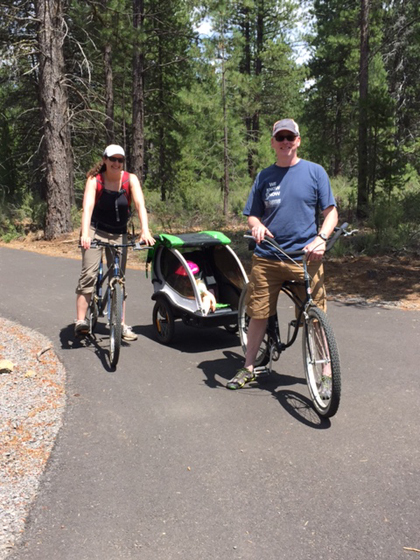 It is a gorgeous trail, built after several years of vigorous discussions, planning and construction, similar to our current process relating the Black Butte Trail. 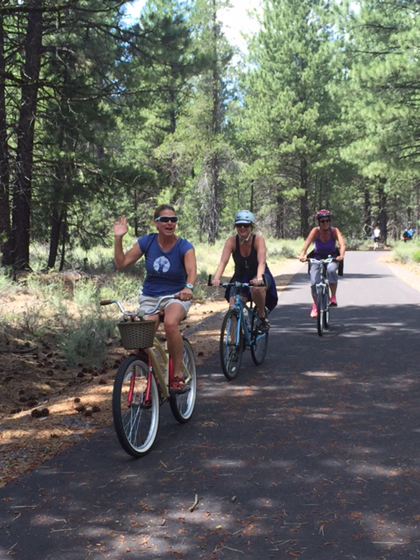 On July 13, 2015 a group of cyclists rode the trail as seen in these photos. During the ride numerous other trail users were encountered, all with big smiles and enthusiasm. The trail is also used my many pedestrians. 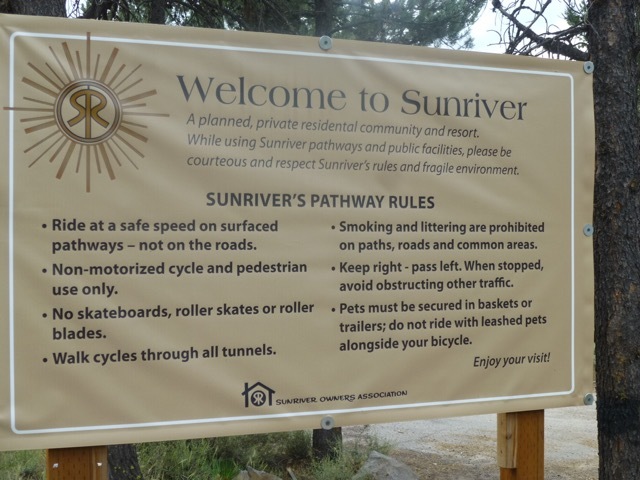 Complements and congratulations to the community of Sunriver for creating this trail. 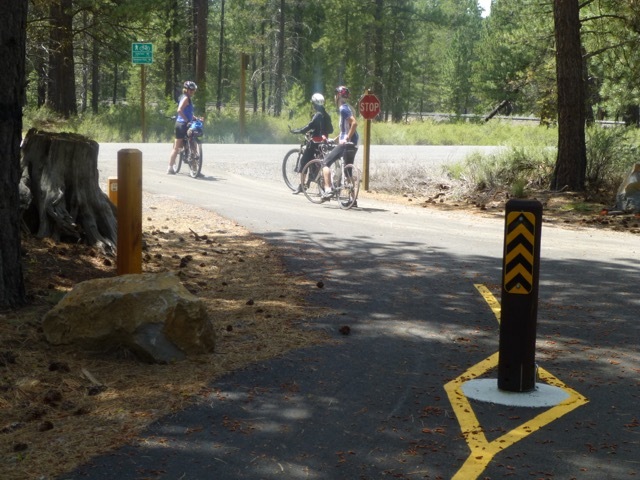 Trail width of 10 feet to allow safe two way trail traffic. Come back to visit, and visit often. Our effort is just getting started.